When it comes to home loan then you have many options for the same. DHFL is a prominent name when it comes to home loan and allied services. In fact, it has myriads of home loan products catering to the variegated demands of the customer. DHFL is known to offer the best interest rates, longer repayment period and easy home loan application and approval. DHFL offers loan amount up to 80% of the property’s market value. The loan tenure offered by DHFL varies from 1 year- 30 years. The term cannot extend beyond 60 years for salaried personnel and 65 years for self-employed individuals. DHFL offers home loan for buying the new property, construction of a house. One can avail DHFL home loan at RPLR or Retail Prime Lending Rate. It changes at a regular interval of time. This change is dependent on various factors and conditions of the market. DFHL gives the borrower an opportunity to increase the loan amount by adding a co-applicant. In order to get a home loan approved form DHFL, it is important that the prospective borrower must submit the documents as asked by the bank. Identity proof- Like Adhaar Card, Passport , Driving License Identity proof- Like Adhaar Card, Passport , Driving License Identity proof- Like Adhaar Card, Passport , Driving License, Labour Contract Copy, Work Permit. Address proof- Like Passport, Adhaar Card, Ration Card, Utility Bills like electricity bill, telephone bills Address proof- Like Passport, Adhaar Card, Ration Card, Utility Bills like electricity bill, telephone bills Address proof- Like Passport, Adhaar Card, Ration Card, Utility Bills like electricity bill, telephone bills. 1 Year Form 16 and ITR. Bank statement of last 6 months showcasing salary credited. Form 16 and ITR along with Profit and Loss account. Bank statement of last 6 months. Balance sheet certified by CA NRIs need to submit salary certificate, last three months salary slip and Last 6 months’ copy of NRO/ NRE bank statement. Appointment letter stating date of joining, designation. If the self-employed individual is applying for a home loan from DHFL then they need to have business stability of at least 5 years. DHFL Plot Loan / Land Loan- Well, it might not be necessary that you would want to buy a pre-constructed house. Sometimes you may wish to buy land and build the house of your dream as per your requirement. DHFL makes this easy for you with the help of its land loan or plot loan. The maximum loan tenure for this loan is 20 years and it grants loan up to 75% of the total property values. DHFL Home Construction Loan- Execute you dream of building the house of your dream with DHFL Home Construction loan. It comes at flexible interest rates and the tenure for the same is up to 30 years. With every home construction loan, the borrower becomes eligible for tax redemption as per Section 24(b) and Section 80 C.
This is one the best offers that DHFL has to offer, if you have been repaying a home loan to a certain bank and want to shift to DHFL, then you can do so with the help of DHFL home loan balance transfer. Home loan transfer reduces the burden of EMI and loan tenure. With DHFL, you also get an additional benefit of a top-up loan cover. The customer can easily transfer 100% of the principal outstanding amount including interest and other charges. Home Extension Loans- Who doesn’t want to have a good looking home. As the family grows and your lifestyle changes, there is a need for a home extension as well. Now, you can easily fulfil this dream by evaluating Home extension loans by DHFL. With this loan, you can construct a new floor, add a room, add an extra bedroom, a balcony and terrace etc. This loan comes with flexible tenure, lower EMIs and Home loan tax benefits. DHFL Home Renovation Loans- Are you tired of the boring look of the house and want to renovate it. Then apply for the DHFL home renovation loan. This loan amount can be used for painting, plumbing, and other maintenance work related to the house. 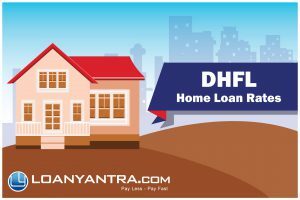 DHFL Plot and Construction Loans- If you are willing to buy property and then start with the construction of your house, the DHFL offers you the scheme of Plot and construction loan. The best part about this loan is that you can use this amount to buy a plot or land and then start with the construction. This loan is available to salary, self-employed individuals and NRIs. DHFL NRI Home Loans- If you are an NRI and want to invest in property in India, then DHFL can help you with its NRI home loan. This loan has been developed for NRIs who wish to buy property in India. NRIs from UK, UAE, USA and other countries can apply for a home loan from DHFL. They need to submit certain documents specified by the company for quick approval of the loan. Pradhan Mantri Awas Yojana (PMAY – CLSS)- To support the government of India’s initiative to provide a home to every individual in the nation, DHFL also offers loan under this scheme. This affordable housing project by the government aims at providing a pucca home to all. This scheme has been specially developed for the EWS or Economically Weaker Section of the society. Those who fall in the category of EWS or Lower Income Group or LIG get the credit linked subsidy on the loan amount of Rs. 6 lakh at the interest rate of 6.5% per annum for a 20 Year tenure. For the Middle-Income Group 1, the credit liked subsalt is available for loan amount up to Rs. 9 lakhs. It is available at an interest rate of 4% for a period of 20 years. For those who are in Middle Income Group 2, the credit linked subsidy is applicable to a loan amount of Rs. 12 lakhs at the interest rate of 3% for a period of 20 years. The applicant must not own any property under their name at present and along with any of the family members. The property should be present in the urban area as per 2011 consensus. Tax Benefits- One of the primary reason people apply for home loan is that they get tax redemption. If you are applying for a home loan from DHFL, then you get a tax benefit as per Income Tax Act. Section 80c – As per this section of Income Tax Act, the borrower can get the tax benefit on principal repayment on loan up to Rs. 1 lac. Loanyantra is a one-stop solution where the borrower can find all the details about various home loan providers. They can easily do the comparison of all of them and based on this they can choose the right financial institutions. Our services do not end with just comparisons, rather we also help you in completing the paperwork for loan application so that you can get through the entire loan application process hassle-free. To explore more on how we can help you contact us today. Author keerthiPosted on February 7, 2019 Categories LoanyantraTags home loan for buy, home loan fro secind investmentLeave a comment on Home Loans for Buy-to-Let Investors!! Preparing to apply for a home loan is a bit like compiling all the information your accountant needs to prepare your tax. It’s tedious! However, unlike preparing your tax documents you have something very exciting to look forward to – owning your own home. Knowing exactly what lenders require, and having everything ready to hand over to your mortgage broker, will ensure your application proceeds smoothly and your loan is approved quickly. With your loan pre-approved, you know exactly what you can afford and will be ready to make your move as soon as you find the right property at the right price. So, what will your lender want to know? To put it simply they will want to know who you are, what your income is, what you own, and what you owe (including how you are paying it back). If you are borrowing as an individual your lender will typically require a combination of a primary ID and a secondary ID viz., address proof, photo proof. A primary ID is a photographic ID, either a PAN card, current driver’s license or passport. Secondary IDs can be a Medicare card, bank card, utilities bill or with your name and current address on it. If you are borrowing as a company, IDs for the directors of the company will need to be provided as well as a company registration certificate. If you are an employee earning a salary you will need to provide either your two most recent payslips or a letter from your employer stating your base income (not including bonuses or overtime). This letter should also state the date you commenced employment with the company as your lender may want to be sure that you have passed any probationary period. You also need to provide details of any other sources of income, such as rental income, dividends, interest on savings, child support/maintenance or government benefits. If you are self-employed or borrowing as a company or trust there are different requirements. You will need to provide the last two years signed, lodged tax returns for all entities relating to the loan, including any trusts or companies. You will also need to provide the same details for all directors. Behind with your tax returns? It may still be possible to get a loan but you will need some help from your accountant. Your lender may accept an accountant’s declaration stating your income on a form provided by the lender, your most recent Business Activity Statement (BAS) or 12 months of business banking statements. Compile a detailed list of all your assets, including savings in the bank, the value of any property you own, your household contents, shareholdings and vehicles such as cars, motorbikes or boats. List any debts you may have, such as credit cards or personal loans, and the monthly repayments on these. Your lender will not only be looking at what debts you already have but proof of your payment behaviour. If you are refinancing a home loan with a new lender, the lender will also need to see a mortgage statement covering the last six months of your payments. Once you have all these documents compiled and ready at your fingertips, you are good to go! Contact one of our expert mortgage brokers here at Online Home Loans and they can help you find the right home loan for your particular circumstances. They will double-check that all your documents are in order (and help you if not! ), confirm that your eligibility for a home loan is good, advise on the home loan options available to you, and smooth your way through the entire process. Before you know it, you will have your loan approval and be ready for the exciting journey towards owning your own home.